"Leon Maurer has a Bachelor of Chemical Engineering degree from the Georgia Institute of Technology specializing in atomic energy, electronic control systems and communication network systems, with additional studies in modern physics, material science, ceramics, architectural engineering. He has completed graduate studies in communication arts at the New York Institute of Technology, instructed graduate level advanced courses in motion picture special effects, and had done pioneering work in the early development of 3-D computer graphic animation and CGI special effects systems at the NYIT Visual Arts Center and Computer Graphics Lab. This theory further postulates that total gravitational space, it's involved hyperspace, and all mass energy form/fields in metric physical/material space are generated from the spin momentum (ZPE) of a "singularity" surrounding a zero-point of absolute space... These initial fields appear as a (coadunate but not consubstantial) fractal involved series of harmonic radiant energy fields, that descend from near infinite frequency spectrum phase/orders to near zero spectrum phase order (on our lowest order physical/material world). All such fields are also electrodynamic in nature (Ref: Maxwell, Coulomb, Faraday, Ampere equations), Consequently, all structural, memory and mental information is carried as holographically encoded wave interference patterns on the surface of such fields... And transmitted, through descending hyperspace field phase orders to their common zero-point center of consciousness, by phase conjugate adaptive resonance processes. 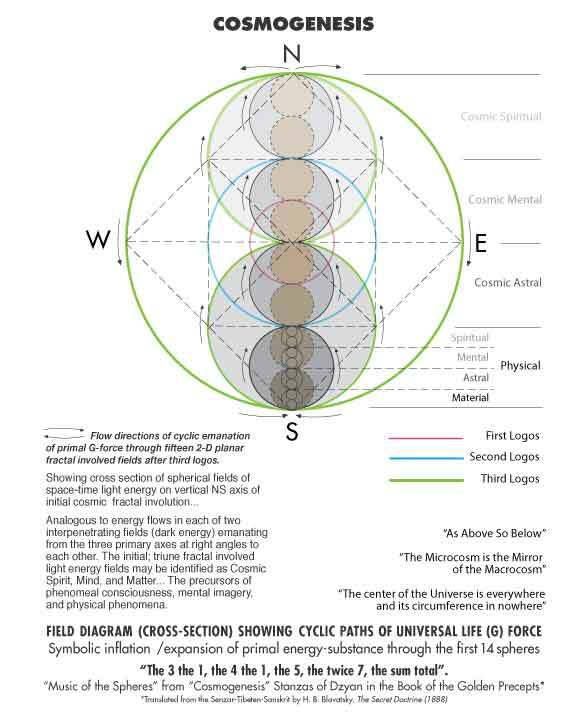 Thus, Mind itself (in the case of human thought) is one of those hyperspace fields linked coenergetically (resonantly) with the brain's radiant EM fields... With long term, archetypal, and species memory stored in adjacent higher order coenergetic hyperspace fields (ref: string theory). How Did Albert Einstein Intuit (Grok) E=mc2? ornamental mind is a term coined by my primary teacher. It represents the union of the relative/subjective mind and the absolute/objective minds, consubstantially. The term is associated with the experience of "looking through the large objective 'eye' at all of the arisings, stayings and melting away of the subjective (thoughts etc.) ...seeing them as mere ornaments. Welcome! The fourth object is to ENJOY the site. Let us know what you like and what could be better. Thanks. Wow, i wish i knew what half those words meant, but by the sound of things you seem like a very passionate person. id enjoy talking with you sometime in the future.